I’m deeply concerned with the FCC’s decision today to repeal Net Neutrality rules. 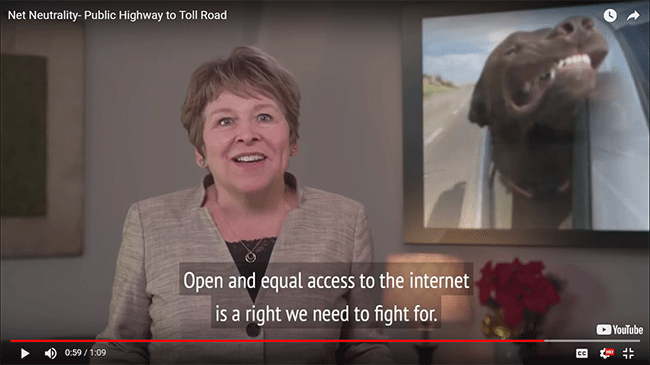 Rules that kept our internet free and open–like a public highway for businesses and consumers. Now, the major internet service providers (ISPs) will be able to block sites, charge more for certain sites like YouTube and Facebook, and create “fast lanes” for sites that can afford to pay, while those that can’t are stuck with slower speeds. Yet, Rep. Cathy McMorris Rodgers applauded the FCC’s plans to repeal Net Neutrality, even though this is bad for the people of eastern Washington, especially small businesses and rural residents throughout our region. When I’m in Congress I will focus on the priorities of eastern Washington, not special interests.